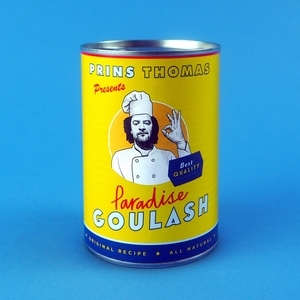 This triple-album collection is something of a treat for Prins Thomas fans. Released as an accompaniment to his epic, three-disc Paradise Goulash mix, it's entirely made up of previously unreleased re-edits from the Norwegian maestro. Musically, it's as cosmic and varied as you'd expect, variously touching on ambient (Claude Speed), Balearic jazz (Gabor Szabo), Middle Eastern oddness (Cat Trance), synth-samba (Richard Schneider Jnr), modern classical (a Johanna Billings cover of Arthur Russell's "This Is How We Walk On The Moon"), and all manner of hazy, sun-kissed grooves. There's little slamming dancefloor fare, but plenty of unique versions of overlooked, little known or forgotten musical gems. For that alone, it should be an essential purchase.